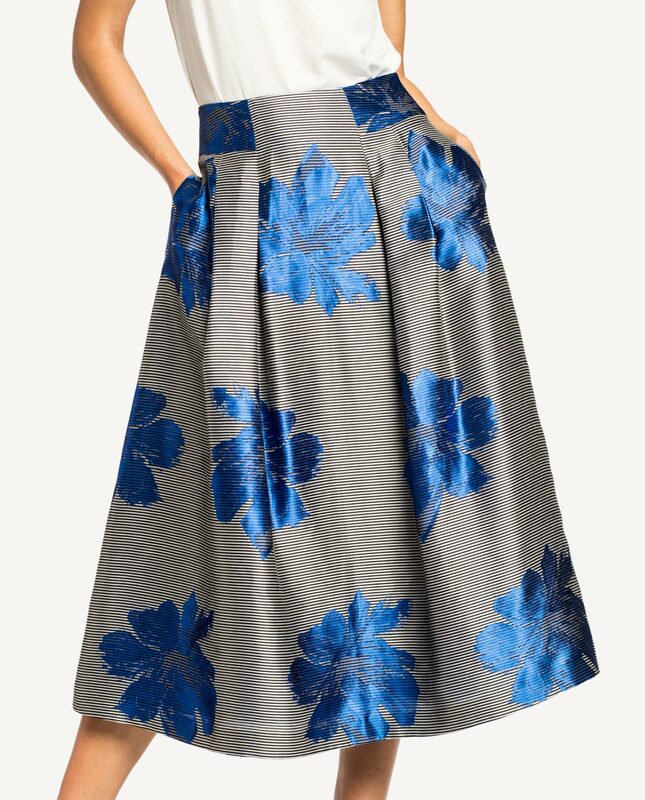 Flared floral skirt. A style with darts is timeless and very popular with women. This garment is a basic for casual, evening as well as formal looks. It will introduce a fresh touch into your wardrobe and revive your summer looks. 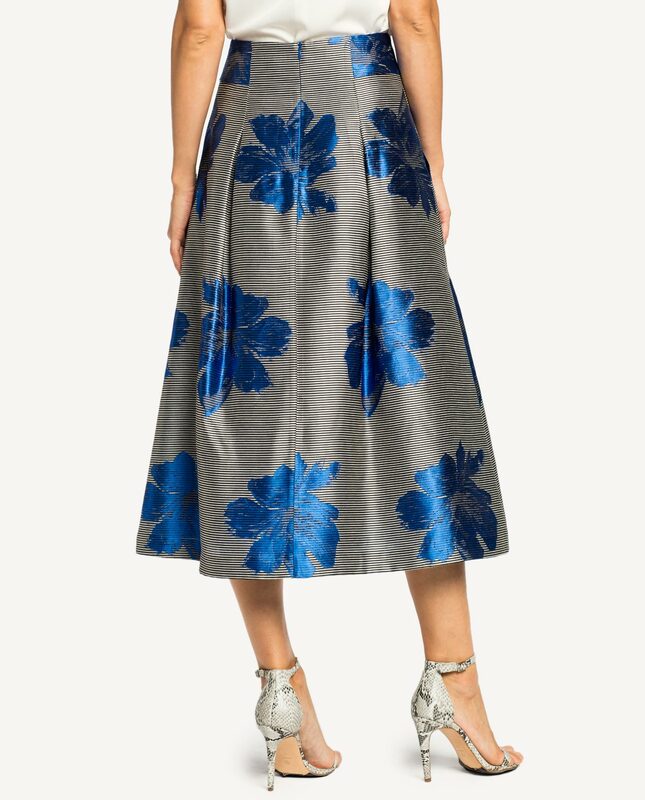 The flared style will help to hide any unwanted flaws in the body shape and accentuate your slim waist. Side pockets create a casual look. A concealed zip at the back. Lined and comfortable to wear.